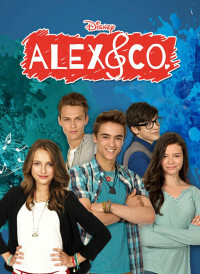 Alex, Nicole, Christian, Sam and Emma are five inseparable friends facing their high school years full of emotions, love, fears and dreams together. They are united through their great friendship and their new-found passion for music, which they will cultivate into real talent. Of course, there will be difficult moments, disappointments and obstacles, but if Alex and his friends stay united, there is no challenge too difficult that they cannot face and overcome together.